$5,434 off MSRP! KBB Fair Market Range Low: $32,799 2018 Jeep Wrangler Sport S 2D Sport Utility Billet Silver Metallic 4WD 8-Speed Automatic 3.6L V6 24V VVT **NON SMOKER**, **WE DELIVER ANYWHERE**, Wrangler Sport S, 2D Sport Utility, 3.6L V6 24V VVT, 8-Speed Automatic, 4WD, Billet Silver Metallic, Black Cloth, ABS brakes, Compass, Electronic Stability Control, Low tire pressure warning, Traction control. $5,941 off MSRP! KBB Fair Market Range Low: $35,860 2018 Jeep Wrangler Sport S 2D Sport Utility Bright White Clearcoat 4WD 8-Speed Automatic 3.6L V6 24V VVT Wrangler Sport S, 2D Sport Utility, 3.6L V6 24V VVT, 8-Speed Automatic, 4WD, Bright White Clearcoat, Black Cloth. $5,941 off MSRP! KBB Fair Market Range Low: $35,860 2018 Jeep Wrangler Sport S 2D Sport Utility Billet Silver Metallic 4WD 8-Speed Automatic 3.6L V6 24V VVT Wrangler Sport S, 2D Sport Utility, 3.6L V6 24V VVT, 8-Speed Automatic, 4WD, Billet Silver Metallic, Black Cloth, ABS brakes, Compass, Electronic Stability Control, Low tire pressure warning, Traction control. $5,941 off MSRP! KBB Fair Market Range Low: $35,860 2018 Jeep Wrangler Sport S 2D Sport Utility Black Clearcoat 4WD 8-Speed Automatic 3.6L V6 24V VVT Wrangler Sport S, 2D Sport Utility, 3.6L V6 24V VVT, 8-Speed Automatic, 4WD, Black Clearcoat, Black Cloth, ABS brakes, Compass, Electronic Stability Control, Low tire pressure warning, Traction control. $5,373 off MSRP! KBB Fair Market Range Low: $37,073 2018 Jeep Wrangler Unlimited Sport S 4D Sport Utility Ocean Blue Metallic 4WD 8-Speed Automatic 2.0L 4-Cylinder Turbocharged Wrangler Unlimited Sport S, 4D Sport Utility, 2.0L 4-Cylinder Turbocharged, 8-Speed Automatic, 4WD, Ocean Blue Metallic, Black Cloth. $4,948 off MSRP! 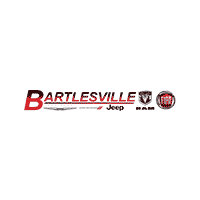 KBB Fair Market Range Low: $39,864 2018 Jeep Wrangler Unlimited Sahara 4D Sport Utility Gray Clearcoat 4WD 8-Speed Automatic 2.0L 4-Cylinder Turbocharged Wrangler Unlimited Sahara, 4D Sport Utility, 2.0L 4-Cylinder Turbocharged, 8-Speed Automatic, 4WD, Gray Clearcoat, Black Cloth. $6,548 off MSRP! KBB Fair Market Range Low: $44,108 2018 Jeep Wrangler Unlimited Sport S 4D Sport Utility Black Clearcoat 4WD 8-Speed Automatic 3.6L 6-Cylinder ABS brakes, Compass, Electronic Stability Control, Low tire pressure warning, Traction control. $5,312 off MSRP! KBB Fair Market Range Low: $42,798 2018 Jeep Wrangler Unlimited Sahara 4D Sport Utility Crystal Metallic 4WD 8-Speed Automatic 2.0L 4-Cylinder Turbocharged Wrangler Unlimited Sahara, 4D Sport Utility, 2.0L 4-Cylinder Turbocharged, 8-Speed Automatic, 4WD, Crystal Metallic, Black Cloth. $7,500 off MSRP! KBB Fair Market Range Low: $46,316 2018 Jeep Wrangler Unlimited Sahara 4D Sport Utility Red Clearcoat 4WD 8-Speed Automatic 2.0L 4-Cylinder Turbocharged Wrangler Unlimited Sahara, 4D Sport Utility, 2.0L 4-Cylinder Turbocharged, 8-Speed Automatic, 4WD, Red Clearcoat, Black Leather. $5,596 off MSRP! KBB Fair Market Range Low: $45,087 2018 Jeep Wrangler Unlimited Sahara 4D Sport Utility Crystal Metallic 4WD 8-Speed Automatic 3.6L 6-Cylinder Wrangler Unlimited Sahara, 4D Sport Utility, 3.6L 6-Cylinder, 8-Speed Automatic, 4WD, Crystal Metallic, Black Leather. $5,646 off MSRP! KBB Fair Market Range Low: $45,491 2018 Jeep Wrangler Unlimited Sahara 4D Sport Utility Bright White Clearcoat 4WD 8-Speed Automatic 2.0L 4-Cylinder Turbocharged Wrangler Unlimited Sahara, 4D Sport Utility, 2.0L 4-Cylinder Turbocharged, 8-Speed Automatic, 4WD, Bright White Clearcoat, Black Leather. $8,276 off MSRP! KBB Fair Market Range Low: $48,894 2018 Jeep Wrangler Unlimited Rubicon 4D Sport Utility Crystal Metallic 4WD 8-Speed Automatic 2.0L 4-Cylinder Turbocharged Wrangler Unlimited Rubicon, 4D Sport Utility, 2.0L 4-Cylinder Turbocharged, 8-Speed Automatic, 4WD, Crystal Metallic, Black Leather. $8,276 off MSRP! KBB Fair Market Range Low: $48,894 2018 Jeep Wrangler Unlimited Rubicon 4D Sport Utility Bright White Clearcoat 4WD 8-Speed Automatic 2.0L 4-Cylinder Turbocharged Wrangler Unlimited Rubicon, 4D Sport Utility, 2.0L 4-Cylinder Turbocharged, 8-Speed Automatic, 4WD, Bright White Clearcoat, Black Leather. $8,276 off MSRP! KBB Fair Market Range Low: $48,894 2018 Jeep Wrangler Unlimited Rubicon 4D Sport Utility Red Clearcoat 4WD 8-Speed Automatic 2.0L 4-Cylinder Turbocharged Wrangler Unlimited Rubicon, 4D Sport Utility, 2.0L 4-Cylinder Turbocharged, 8-Speed Automatic, 4WD, Red Clearcoat, Black Leather. $5,797 off MSRP! KBB Fair Market Range Low: $46,706 2018 Jeep Wrangler Unlimited Sahara 4D Sport Utility Bright White Clearcoat 4WD 8-Speed Automatic 2.0L 4-Cylinder Turbocharged Wrangler Unlimited Sahara, 4D Sport Utility, 2.0L 4-Cylinder Turbocharged, 8-Speed Automatic, 4WD, Bright White Clearcoat, Black Leather.